With 19 years, the renegade Géricault leaves the school where he was studying art in order to study directly at the Louvre, where for 6 years copies works of the great masters of painting. His work evolved in big and detailed canvases. He submitted several of them in the Salon de Paris, being awarded with a gold medal for The raft of the Medusa. A psychiatric friend of the family named Étienne-Jean Georget, amazed by the Géricault’s objectivity, commands the artist one painting for each clinical setting of the disease called monomania (at that time). For this, Géricault goes to the La Salpêtrière asylum, place where Georget worked, and begins to portrait the inmates there. The artist paints 10 portraits, but only 5 survived. Portrait of a kleptomaniac is the most famous of all. The gaze of the patient, lost and empty is, in my opinion, the most interesting and effective of the work. In it, although we can notice some expression of surprise in his eyebrows, we can see the kleptomaniac’s indifference towards the world or, to be more exact, towards the reality around him. The neglected beard, the dirty neck and the messy hair are all indications of the lack of importance the patient has on his personal hygiene. At last, it is mentioned the low shoulders that express tiredness and resignation in the patient’s posture. Despite the fact that, at that time, restraints were commonly used for patients in asylums, in the painting by Géricault, the main character uses his own clothes: the ill is not stigmatized, but he is seen as a common person. This canvas was painted with fast brushstrokes and has not the level of details that most of the works by Géricault have. Some think that this “prefigured the concerns of the impressionists” but, of course, this work doesn’t belong to that movement; but it is referred as belonging to the romantic school as it tries to give some dignity to the mentally ill, something new for that time. 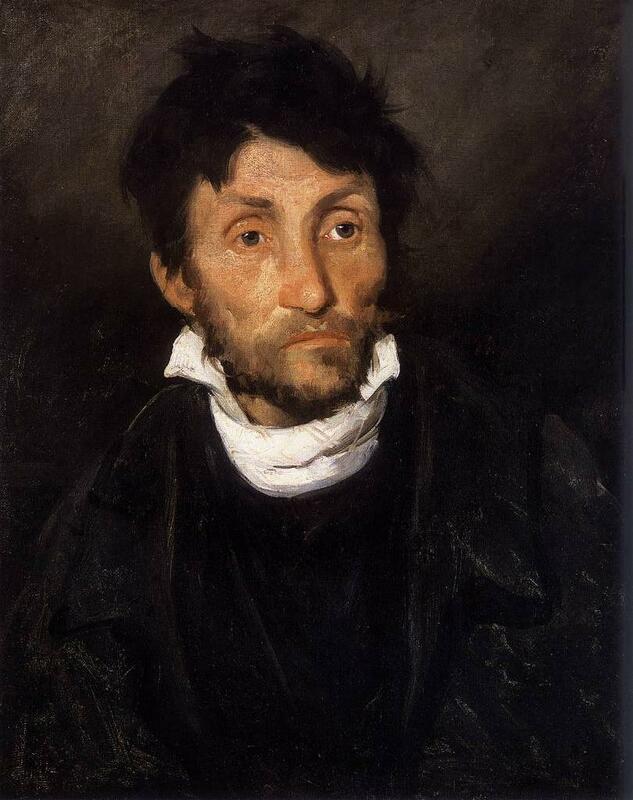 After painting the series of the la Salpêtrière, affected by tuberculosis, Géricault dies at 33. Too soon. ~ by Álvaro Mazzino on September 20, 2010. I didn’t love everything about the Note 3. While I did enjoy the tactility of the faux leather back, I thought the stitching was taking things a bit too far. These Soloviere sneakers bring a Mediterranean vacation vibe to whatever you wear them with. Their sand suede upper and rope laces channel the cliffs, the breeze, and the big-as-hell boats—and that’s a vibe anyone can get down with all season long. I don’t know if you still use this but what sources did you use for this information? This entry was posted on September 20, 2010 at 09:12 and is filed under Realism, Romanticism.You can follow any responses to this entry through the RSS 2.0 feed.You can leave a response, or trackback from your own site.